The maiden flash sale of Coolpad Dazen 1 turned out to be a massive success, with the device running out of stock within minutes of Snapdeal opening sales. 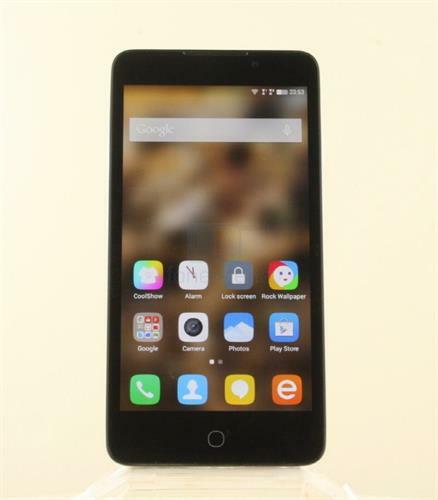 The Coolpad Dazen 1 is a good deal and alternative for the Yu Yuphoria or Xiaomi Redmi 2 with its sub-INR 10,000 price. The Coolpad Dazen 1 is the budget twin of the two Chinese smartphones that were recently released in India from the Shenzen-based handset manufacturer. Priced at INR 6,999 the Dazen 1 costs more than INR 10,000 less than the Dazen X7 which was launched around the same time via a Snapdeal online sale. The results of the flash sale was astonishing - the Dazen 1 went out of stock within seconds of the sale opening and over a lack registrants signed up for the phone before Snapdeal closed registration. This may just be the big competitor to Xiaomi Redmi 2 in India. With the public currently looking for great hardware in the price range of the Dazen 1, there are a lot of expectations from the phone, many of which the handset meets easily. On the appearance front, the Coolpad Dazen 1 does nothing that is too different. It looks like most other entry-level phones with a compact, black matte plastic body and an all-glass front. The back panel is removable and offers access to microSD and SIM card slots, but the plastic looks a little weak. The battery is replaceable. The body is simple and fuss-free, which will appeal to many users. The handset will come in two colors - snow-white and moondust black. The smartphone comes with a 720 pixel, 5 inch display with a pixel density of 320 ppi, offering clear and crisp picture quality. Images are bright and sharp, and viewing angles are good. You can't expect good bass from a budget phone and the Dazen 1 doesn't surprise in that regard, but there is a lot of treble and headphone outputs exceed expectations. The Dazen 1 comes with a very reasonable 5 megapixel front camera and an impressive 8 megapixel rear camera (with an f/2.2 lens) equipped with LED flash. The image quality that you get from the camera matches that of other phones in this range. This is not the phone for you if you are planning to replace your camera with it, but the camera is a good enough deal. Even under good light you may find the images slightly grainy. The selfie cam lets you adjust the beautification meter and take some reasonably good selfies. This smartphone runs on a 1.2 GHz 61-bit Qualcomm 410 (Snapdragon) processor that is energy efficient and good for multi-tasking. It also has a Adreno 306 GPU with an 8GB ROM, a 2GB RAM and can hold up to 32 GB microSD cards. You can expect a smooth smooth experience, though if you enjoy heavy mobile games rather than casual gaming this is not the phone for you. It comes with a proximity sensor and a compass. The OS is Android 4.4.4 KitKat with a custom user interface the CoolUI. It looks a little different from other UIs though offering a similar experience, and has useful tweaks for gesture controls. The battery on the Dazen 1 is an impressive 2500 mAH, from which you can expect quite a good run per charge cycle. The Dazen 1 comes with dual SIM support, the first of which offers support for 4G connectivity and the second for 3G. You can also enjoy WiFi and Bluetooth connectivity options but no NFC, so forget paying for your coffee simply by tapping the Dazen 1 at a payment terminal. 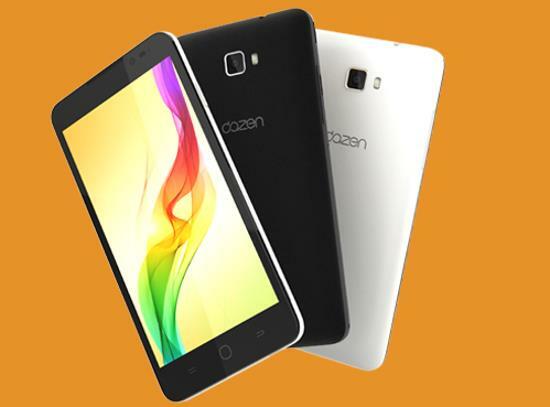 Overall, the Dazen 1 is a competitive budget smartphone with a decent deal at INR 6,999. A more solid body would have made it an even better deal, but for what it is, the Dazen 1 is a good alternative for the other smartphones in the market like Yu Yuphoria or the Redmi 2. Coolpad Dazen1 - What's new in it? Coolpad, one of the biggest smartphone manufacturers from China, has decided to land into the Indian territory. Albeit a bit late, the innovative firm has launched its first device in India, the Dazen1. Will it work out to be a success among the Xiaomis, Yus and Honors? Let's dig the device a little. Coolpad has launched its latest model Android Smartphone, Dazen 1 in a budget price range of 6999/-. It has brought many features in one roof, while leaving out a few. We have a number of smartphones standing in the queue of same price range with features slightly higher or lower than this Dazen 1. If you are planning to go for one, stumble a little on this article before making your last minute decision. t is an awesome phone if you look at the specifications. However, there are some negative reviews over the internet. The camera is said to be a bit troublesome. 2 GB RAM is unique for a phone at this price bracket. Besides, the 64 Bit processor makes it a futureproof device. Coolpad has always been regarded as an innovative firm in China with hundreds of patents under its belt. We will need to wait and see how it fares in the already crowded price range.